"scaling"550cc injectors before mapping . Unisettings? Or know of a guide to how its done? Failing that, will unplugging the N75 valve keep me the safe side of melting? I ask questions because i change my mind so much. If i ask questions you have already covered... just leave it be? I would assume you would need to adjust the fuelling a bit at a time and see what happens with the lambda. make sure you read the ecu settings after you have flashed the new settings, as I noticed sometimes the ecu doesn't save the updated settings. I think its got something to do with cycling the key on/off at the right moment. reduce primary fueling ch10 down to 90% as a start and watch what 001% adjust is doing... It will periodically update adaptions into block 032.. so watch that one also. aim to get 001 fueling at +/-5%, IF there's enough adjustment. I'm in the same predicament, switching from 550s to 630s. I run vagcom 409.1 with an ebay cable however i cant get unisettings to see the cable driver. Any ideas as to what i'm doing wrong? Ive got Unisettings in C:/windows/program files/UnisettingsBoschME7/Unisettings, with the ftd2xx.dll file also in the UnisettingsBoschME7 folder. However on startup it will not find the ftdi files, so i cant even begin reading/writing. I was going to look at doing this later. Lol sorry dude. I just started looking at this yesterday.Ive trawled through all the google searches but as per most forums people don't then post the solutions when they find them... LolIf you manage then give me a shout Paul! No joy, I will be trying my older basic ebay lead on my older laptop today, I couldnt get the Laptop to read the ecu... it worked fine in vagcom but no joy with unisettings. Unisettings won't connect with VCDS cable on mine either.I use a cheap ebay cable that works with nef software/unisettings. I was told however a real lead will work once you have unclicked "launch in inteligent mode" or however its worded and save the change. I was unsure about trying this as i know with my luck i will kill whatever version of vag com works with the new lead. So im going to try it with the ebay special. Hmm, still no joy. I have vagcom 409.1 so the options screen says "force dumb mode" but this makes no changes. 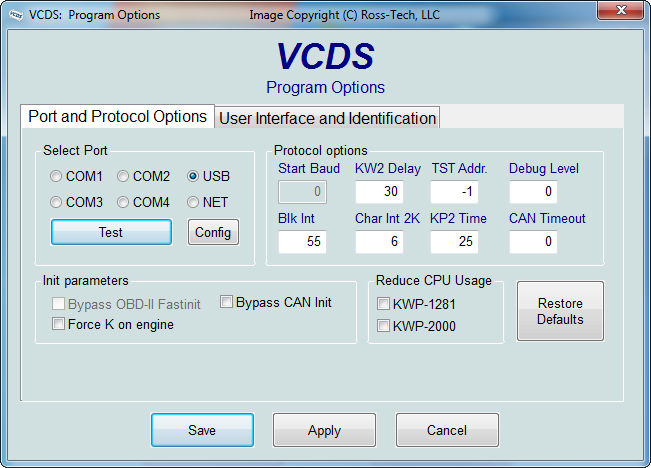 Open vagcom, choose options, select "dumb mode", test and save the interface, close vagcom, open unisettings, set device? I tried with my older set up and it said... " ecu settings read correctly" or something like that,All the values on the screen stayed the same as when I just opened uni settings ... Is that right?.I've fitted the injectors and fpr now so if it's all go I will be ready to start once I've had a wash? They're reasonably short logs, and Id welcome a second opinion, but on the face of it it looks like it's peaking 21psi, and holding 18-19, and running ~13:1 midrange for best torque and 11.8:1 top end with a small enrichment at the very top. No cf's on full chat and modest airflow. Looks to me like it's running safe and has scope for plenty more power once mapped. Its the same place i did a run before injectors that showed the car pulling all the boost out to save the engine? Prawn posted that he thinks there may be more to come from the car? Do any of he other values show this may be the case? I've only briefly looked at it. airflows are'nt high.. without seeing it on my dyno I cant comment much..
looks like 216-217g/s at 6300rpm at 1.3bar boost ~270bhp level (IF) the maf's reading accurately..
Ok maybe, thanks.It was a euro car parts maf about 3 years back...most may want throwing in a bin ? airflow is reasonably low, and the lack of any CF's would suggest timing is reasonably mild at present, it's also fairly rich at the top end and could potentially be leaned out a touch for more power. Boost control has also moved on a LOT in the last 3 years or so since it was mapped, yours spikes and dies off as per old school, newer techniques hold the turbo back until after 4k rpm then ramp boost up right up to 5k rpm, yielding much better results. So if i log 003 what other 2 measuring blocks along with it would help? I don't think you really need to log anything more to confirm that it appears to be running reasonably safe Paul, logging ignition timing is purely to get an idea how what the current map is like and how much timing it is requesting. Might be worth logging inlet temps also, just to get an idea whether your FMIC in it's current form is any good, scroll through the first few blocks and the temp one will pop up. can this method be used for a long period of time until mapping>? Audi S3 8P - Red, Revo CAI, Shark Performance Stage 1 remap. just tried this and could not get my laptop to connect with the ECU, using cheap VDCS lead and forcing dumb mode. I've read somewhere about removing the instruments fuse? 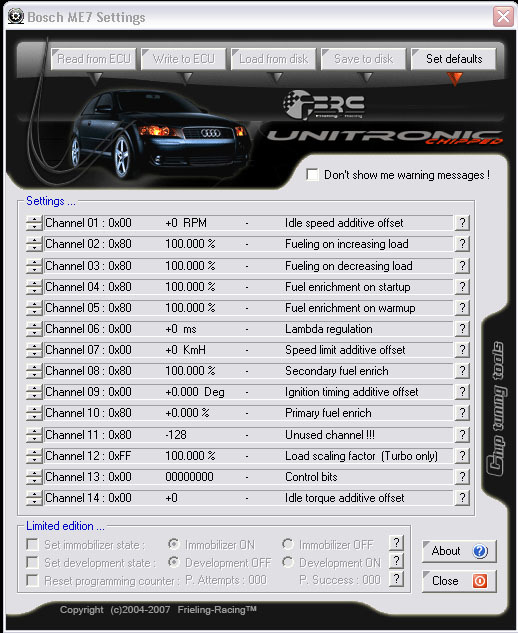 ins fuse can help on some cars.. does unisettings see cable?